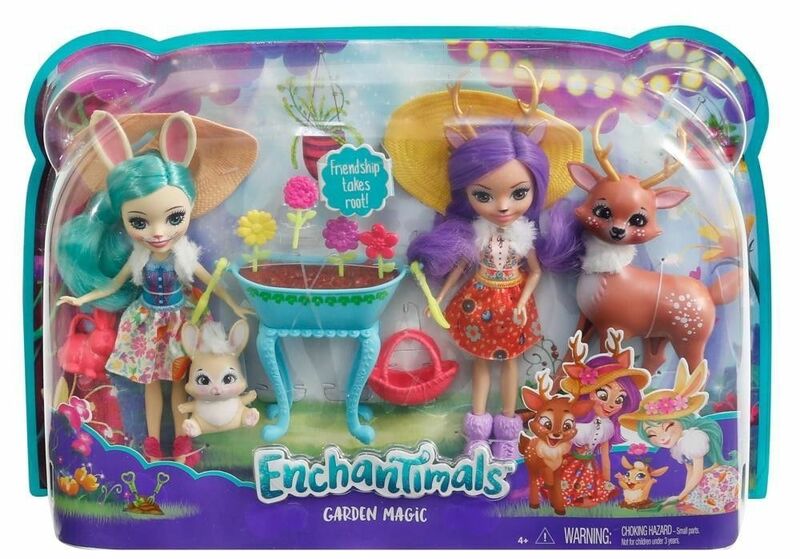 Get wild with this Enchantimals gardening-themed gift set that lets imagination grow! 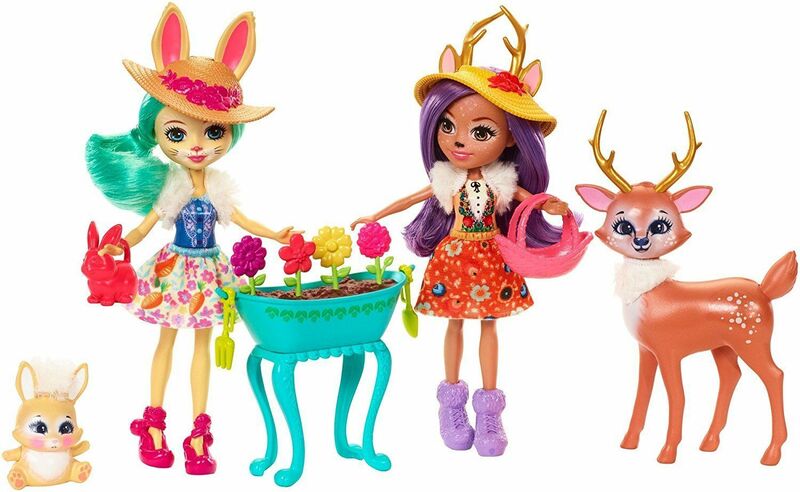 It comes with two six-inch Enchantimals Dolls, a deer, a bunny, a flower plot with flowers and themed accessories. Each piece is enchanting, especially the blue flower plot that has four removable flowers and a hook on each end that can hold the two gardening tools. A pink flower basket and bunny-shaped watering can help imaginations grow even more. 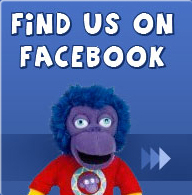 Kids will love helping the Enchantimals friends grow a colourful garden and playing out their unique stories. 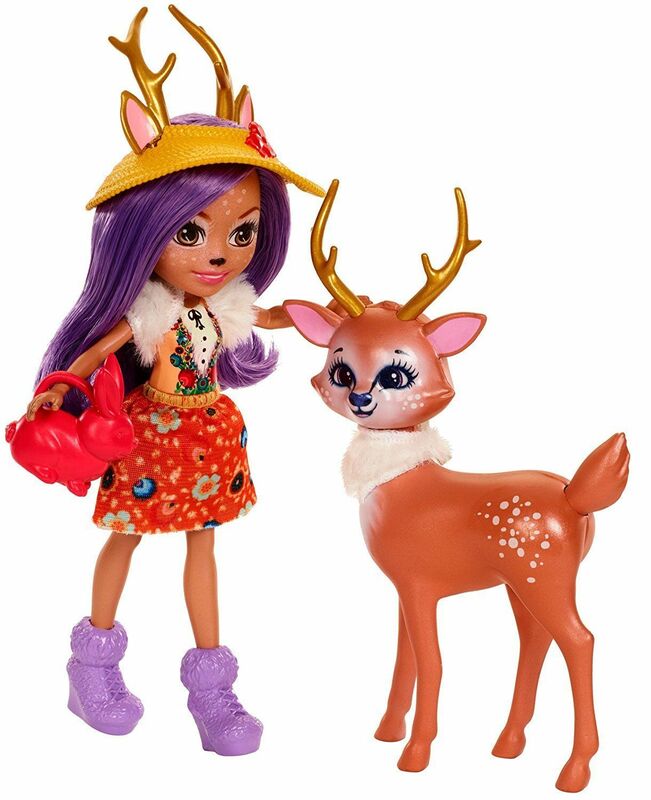 Both Enchantimals Dolls wear colourful outfits with removable skirts that have floral prints. 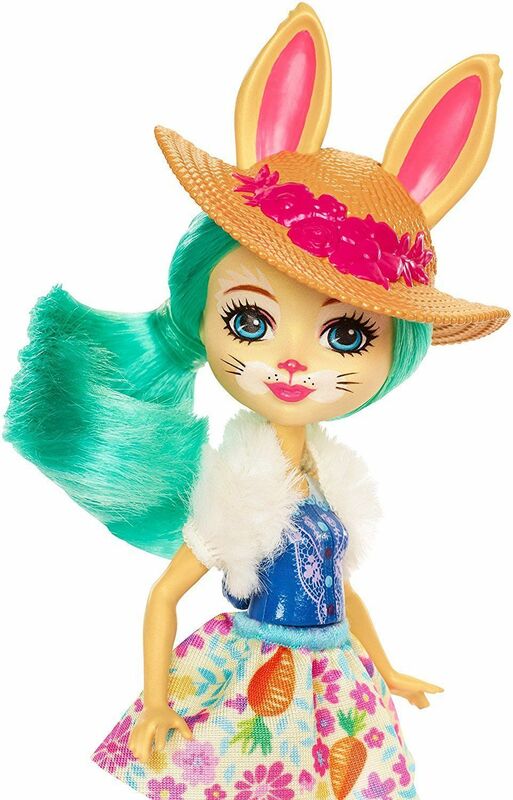 Bree Bunny Doll, with bright teal hair, accessorizes with pink shoes, a white furry stole and gardening hat that lets her rabbit ears poke through. 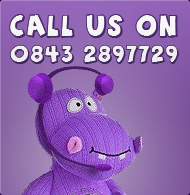 Danessa Deer Doll is a-doe-able with purple boots, a white furry stole and a sunhat that showcases her golden antlers and purple hair. Her deer bestie, Sprint, matches with golden antlers and a white furry neck of its own. The small bunny figure is sweet with a patch of furry white hair and a look ready to hop wherever imagination leads. 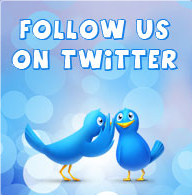 Kids will love recreating the wonder of nature and celebrating a world where Caring Is Our Everything. Collect all of the Enchantimals Dolls and accessories to build out a world of Enchantimals and tell enchanting stories of your own (each sold separately, subject to availability). Includes Danessa Deer Doll, Bree Bunny Doll wearing fashions and accessories, Sprint deer figure, bunny figure, one gardening plot, four flowers, one flower basket and one watering can. Colours and decorations may vary.